Last weekend, “Star Wars Rebels” had its television premiere with “Spark of Rebellion” (about which I hope to write tomorrow), launching the newest Star Wars television show. 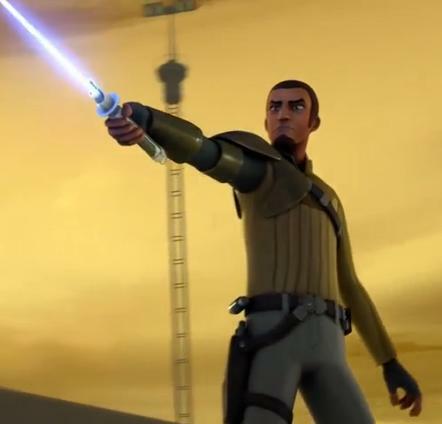 One of the characters, Kanan, reveals himself to be a Jedi. While seemingly known to the rest of the crew of his ship to be as such, he had, apparently, not previously made it known to the Empire. When stuck in a tough situation in trying to free some Wookiees, Kanan realizes he needs to use his light saber (that he might always had kept on him) and tells Ezra, “I’m about to let everyone in on a secret.” He then proceeds to take two pieces of it and connects them together, followed by his activation of it, while walking towards the storm troopers firing on him. At this turn of events, Agent Kallus is very surprised, which, in the brief time on-screen, one gets the sense that he rarely gets surprised in such a way. 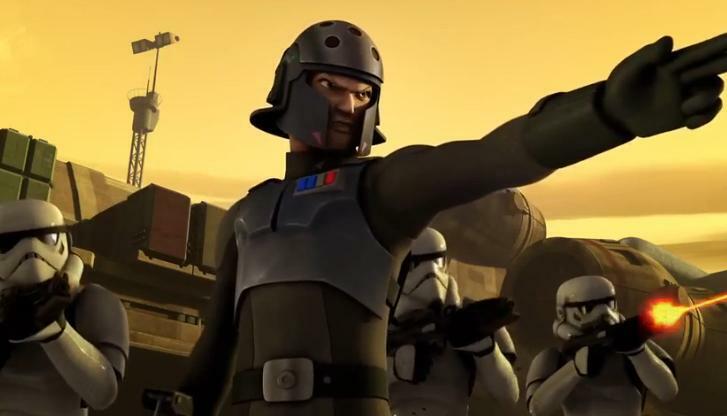 He then commands his troopers: “All troopers, focus your fire on…”, Agent Kallus pauses and, in somewhat of disbelief that he’s even saying this, “the Jedi.” Of course, Kanan is able to withstand the firing on him, dispatching the stormtroopers. Meanwhile, Agent Kallus chases after Ezra and tells him, “It’s over for you, Jedi – a master and an apprentice. Such a rare find these days.” Clearly, he is not used to seeing Jedi. After shooting at Kanan, who emerges, he then has one of his shots ricochet back at him, causing him to fall off the platform, but grabbing onto a support. While there, a trooper asks him, “First Jedi you’ve ever seen, sir?” From this question, one senses it is quite possible for even senior agents to have never come across a Jedi before. Kallus, who is in a really upset mood, kicks the storm trooper in the head, causing him to fall (to his death(?)). At the very end, we see Agent Kallus calling up the Inquisitor (as a way of introducing the latter to viewers), “Excuse the intrusion, Inquisitor, but, in the course of my duties, I have encountered a rebel cell; the leader of that cell made good use of a light saber.” Seemingly, light sabers are not only rarely used, but Agent Kallus is also greatly hesitant to even say that he encountered a Jedi. 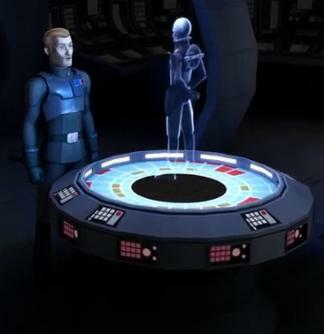 The Inquisitor responds, “Ah, Agent Kallus, you did well to call.” He reached Mr. Jedi Hunter, himself! Seemingly, one of the story lines of “Star Wars Rebels” that “Spark of Rebellion” opened up for us is the Inquisitor’s involvement in hunting down Kanan….